With The A.B.C. Murders coming out today in Europe, we thought we'd give you our opinion on this new point and click adventure. For the most sum of €30 (or €24 on Steam right now), the game can be yours on PS4, Xbox One and the PC, if you don't mind its rather accessible puzzles and its 6 to 8 hours length - depending on how familiar you are with the genre. 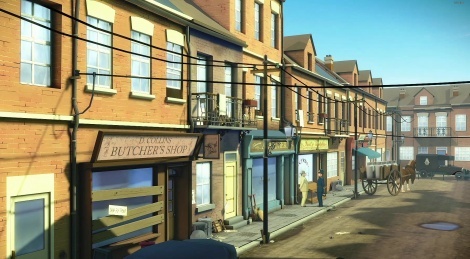 For seasoned adventurers, The ABC Murders may prove a tad simple, but it's certainly not without its British (or perhaps Belgian) charms. It's a game aimed more at younger players or those simply new to the world of graphic adventures. It's quickly paced and it's rare to become stumped for any length of time which, of course, has an impact on its length – The ABC Murders clocks in around eight hours maximum for those taking their time. There are a small number of puzzles which demand a little more from the player but, overall, it's a very accessible game. It may not leave the most lasting of impressions, but it's still a good time. With a mix of pleasant ambience and a nicely written story, Artefacts Studio has created a sharp little experience that, at only 30€ on PC (39.99 on consoles), is well worth trying. Looks good! Thanks for nice review and videos. Thank you very much for the review, Drift. I just found 2 problems with it, in one of the "On the down side" negative points you mentioned "Works ok on a gamepad – much better with a mouse" as a negative. And also that the game is "Very linear" as a negative. I find it odd to mention "much better with a mouse" as a negative because most Adventure games are Point n' Click and they almost always work better with a mouse and keyboard than a gamepad - the games that support both input methods. To me, it would be like saying that a FPS that works much better with mouse and keyboard than with a gamepad is a negative. If you meant that the game has bad gamepad support or just not good enough, perhaps it would have been more clearer to say that instead of "much better with mouse". It's only a "if", I haven't played the game yet, I just found it odd, that's all. And yes, I know you play games mostly with a gamepad - as do I, though only for games that work better with it. As for the game being "Very linear", Artefacts Studio did mention in one of the Developer Diaries that they added some surprises to people who have read the book, like more clues, so that they may doubt if the killer is the same as in the book. But being a game based very tightly on a book, they don't have that much room to offer many different outcomes, even though the game has 2 different endings as they mentioned in one of the Developer Diaries as well. It can't have as much different choices as a Telltalle Games for example, because even those based on popular franchises like The Walking Dead, The Wolf Among Us, Game of Thrones and Borderlands have unique and original stories that tie them to the main storyline, without altering it. Which is why they offer different outcomes. If they had to follow a strict storyline - like that of a book - they would also be "very linear". I actually understand why you put the very linear negative as not everybody has read Agatha Christie's The A.B.C. Murders book, and to those that like a game where you have many different outcomes depending on your choices, this might be an important info on whether they should buy it right now or wait for a discounted price. But I believe anyone remotely interested in this game is at least somewhat familiar with Agatha Christie's book or at the very least knows that the game will be very close to the source material, which means a very linear story. I liked your review, Drift - even though it might sound like I didn't, I just had a problem with those 2 negative aspects as I feel they aren't meritted. That's all. And please, do not take this as any discouragement from doing game reviews, you should take them as the opposite since it matters to some of us, otherwise I wouldn't have bothered to reply with my criticism. Please keep the good work and I'm defintely waiting for a Firewatch review, even though I will only read it after having finished it - I want to know what you think of it, but I also want to go completely fresh and find out everything for myself. You're right for the mouse, but since it's out on PS4 and Xbox One it somehow makes sense, at least from my perspective. The stress is not on the mouse, it's on the fact that it's less effective with a gamepad. Thanks for the very fast reply. The gamepad support must have been an after-thought on Artefact Studios' part, but now it makes sense. Hopefully, they will improve it with future updates. 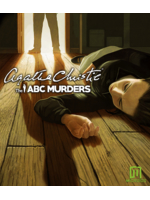 As for the game being very linear, it isn't an issue for me since I'm mostly interested in the game because of Agatha Christie's book, so if the game altered certain key events in the book too much, that would certainly bother me. I have yet to play Sherlock Holmes' 2 latest games, might give it a go after finishing The A.B.C. Murders. Artefacts Studios said the game has 2 different endings, after I finish it, I will look on Youtube for the other one to see how different it is - something I do with games I'm interested in seeing other outcome(s), but don't want to replay everything again. I have rephrased the "gamepad" negative point for your eyes only. You're too kind. But thanks, seriously.